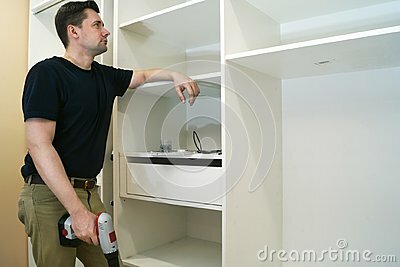 Repair man looking at cupboard or wardrobe. Repair man looking at cupboard or wardrobe. Installation of furniture.